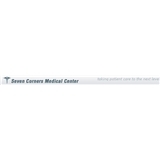 Seven Corners Medical Center (Falls Church) - Book Appointment Online! We appreciate your choosing Seven Corners Medical Center for your care and hope you find your visit with us pleasant and positive. Our Board certified Physicians and Staff have been practicing in this region for over 23 years. We have expanded the scope of our services and the duration of office hours. We welcome you to visit us and take advantage of the longer hours of operation. **If for some reason, you are unable to keep your appointment please give us a call within 24 hours of the appointment time. Please be aware there is $20.00 charge for appointments that are not kept or are not cancelled within 24 hours of the appointment time. Dr. George has a very comfortable approach and is easy to talk with about your issues.